There is a busy card in the NBA tonight, Wednesday the 11th of February, but you should prepare yourself for a really limited card on Thursday. That is something we can worry about then though because there are enough great games to look forward to this evening and there were plenty of exciting moments on Tuesday to look back on. The Pistons grabbed an impressive road victory, demolishing the Hornets in Charlotte. The team from Detroit walked away with a 78-106 win, which was an impressive score line. The Bulls dealt with the Kings in a convincing manner, defeating the Sacramento side 104.86. The Lakers slipped to another home defeat, ousted by the Nuggets in a game that finished 96-106. The Grizzlies bagged another big win, defeating the Brooklyn Nets at home, winning by 95-86. There was also plenty of drama and excitement in Phoenix with the Rockets going away the much happier side. The Suns with 118 points scored more than any team from any other game on the evening but the Rockets managed to bag 127 over the course of the evening, leaving the away team much happier in a 118-127 triumph. 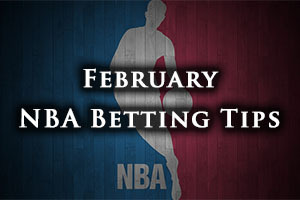 If you are looking to make the most of your NBA betting opportunities before the weekend kicks in on Friday night, fill your boots tonight as there is just one game scheduled for Thursday the 12 of February. This is a game between two teams who have enjoyed an excellent season so far, even if the away team has faltered in recent weeks. The Wizards hold a 33-20 record and head to Canada with a 13-12 record on the road. The Wizards have triumphed in their last two outings but they hold a 4-6 record in their last 10 outings. The Raptors welcome the Wizards and the Toronto side holds a 35-17 record so far this campaign, and this includes a 20-9 record at home. The Raptors have also won their last two games and they current hold an 8-2 record in their last 10 games. With respect to average points scored, the Raptors have a healthy advantage, 105.8 to 99.8. 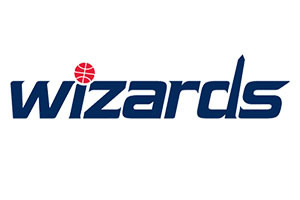 However, for average points allowed, the Wizards carry an advantage, 97.4 to 100.9. All of which means that there could be plenty of points on the board when these two teams clash on Wednesday. The Wizards are monitoring John Wall, Kris Humphries and Kevin Serpahin while Bradley Beal is a bigger doubt for this game. The Raptors don’t have any injury concerns coming into the game. You get the feeling that this could go either way, so taking the Wizards with a +5 handicap, at odds of 1.90, is likely to be a sound way to give you plenty to look forward to on Wednesday. Bet Now! The home side will be clear favourites to win this game but the Jazz have sprung a few surprises this campaign. The Utah team carries a 19-33 record going into this game, and this includes a record of 9-18 on the road. The Jazz have won their two moist recent games and they hold a 5-5 record in their last 10 games. The Mavericks hold a 35-19 record, which includes a 16-9 record in Dallas. They may have lost out in their most recent game but like the Jazz, the Mavericks also hold a 5-5 record over their last 10 games. For average points scored, the Mavericks have a big advantage, 106.7 to 96.0 but for average points allowed, the balance is in favour of the Jazz, with a 98.4 record to 101.3. The team from Utah is travelling to Dall with no serious injury concerns while the Mavericks have major doubts about Monta Ellis and Tyson Chandler. You would have to think that the Mavericks have enough to take care of the Jazz and taking Dallas with a -3.5 handicap, at odds of 1.90, is likely to be a very sensible decision. Bet Now! The reigning champions need to maintain a run of form to keep them going into the post-season and the Spurs will be keyed up for this trip to Detroit. The Pistons have improved in recent months after an abysmal start and this could be an intriguing match-up on Wednesday. The Spurs have a 33-19 record going into this game, which includes a 13-12 record on their travels. The San Antonio side come into this game on the back of a win and they hold a 7-3 record in their last ten outings. The Pistons have a 21-32 record overall, and this includes a 10-17 record in Detroit. The Pistons also won their most recent game and they currently hold a 4-6 record in their last 10 games. With respect to average points scored, the Spurs have an advantage, 100.6 to 98.5 and the champions also hold an advantage with respect to average points allowed, 96.9 to 99.7. Manu Ginobili is a slight doubt for the Spurs while the Pistons will be closely monitoring Cartier Martin and Caron Butler in the lead up to this game. You have to favour the Spurs to clinch this game but the Pistons with a +6 handicap, at odds of 1.90, isn’t a bad bet if you are looking for some excitement with the Wednesday NBA betting action. Bet Now!